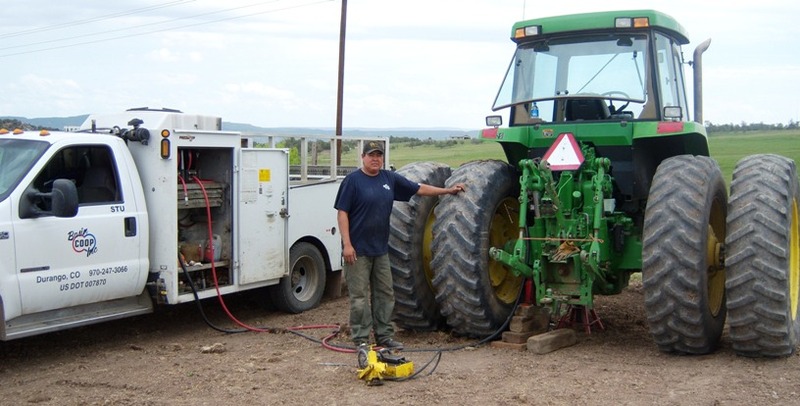 Basin Coop operates one tire shop located in Durango, offering complete tire repairs. Basin also offers a full line of premium passenger and light truck tires. Medium truck, tractor, implement and industrial tires are also on hand. Tire repair and replacement is also available in the field or on the road. Our tire service truck is available to handle all your tire service needs with the convenience of coming to your farm or ranches. Send mail to deb@basincoop.com with questions or comments about this web site. Copyright © 2004 Basin Coop, Inc.